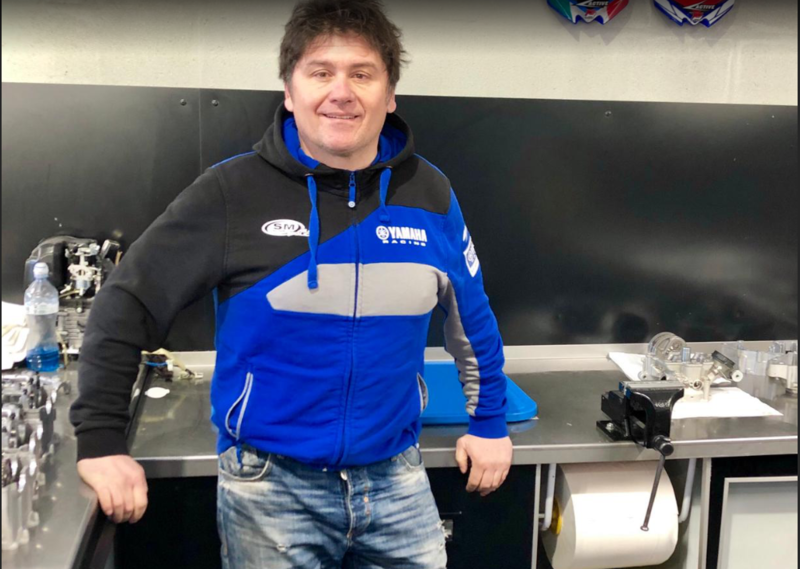 Last week wasn’t a good week for the SM-Action Yamaha team away from the track as the news came out that Michele Cervellin’s Yamaha failed the fuel test at the Motocross Des Nations. As a result, the Italian’s got disqualified from the event. However, better news for the SM-Action Yamaha team is that on the track, Maxime Renaux and Michele Cervellin are both riding well and having a good pre-season. We decided to catch up with team manager, Emanuele Giovanelli to discuss a rang of topics. Gatedrop: You got the news last week that Cervellin’s Yamaha failed the fuel test at the MXDN and because of that Italy got disqualified from the event. Do you think that was a fair punishment? I’m sure the team will learn from this mistake also! Emanuele Giovanelli: It was not a fair punishment because with 27 values we are out only with 1 value, with 1 point. Surely we will learn from this mistake to buy not on the site but taking from home. Gatedrop: The team have already done two pre-season races in Italy with Michele Cervellin, Maxime Renaux and Andrea Adamo. How have these races went for the team? Emanuele Giovanelli: They did a very good job. Maxime Renaux was one of the fastest riders on the track and he has to find continuity to stay on top. Michele Cervellin has confirmed his speed as he is always in the top 5. Andrea Adamo amazed us in the Riola race finishing 13th place in the race. Gatedrop: Renaux was highly rated on the 125cc but since moving up to the MX2 machine has been hit with lots in injuries. Do you feel since moving to your team he’s been getting back to his level and has he had a strong winter? express what he really is. He changed his type of training this winter and as you can see he is one of the fastest riders at the moment. Gatedrop: Cervellin only signed with the team half way through the 2018 season, how did the deal all come about? Emanuele Giovanelli: We had a conversation at the end of 2017 for the 2018 season but he thought he was going to be part of the Honda official team and he never signed with us. After Ostlund picked up his injury, we asked again if he wanted to take part of the remaining part of the season and he signed with us. Gatedrop: Cervellin was very consistent last season. What do you think he needs to do to step up to the next level and become a regular podium threat? Emanuele Giovanelli: After a lot of time spent on the Honda he needed some time to adapt himself on the bike and also with the team. Now after an intense winter training with Maxime he’s improved his riding also with a competitive bike. We think he can reach the podium during the season. Gatedrop: Adamo looks to be a promising Italian. Why did you take the decision to sign him and what do you expect from him in the EMX250 series? Emanuele Giovanelli: We saw Andrea Adamo 1 year ago and this year we have taken the decision to sign a 2+1 year contract with him. We expect he will arrive in the top 10 at the end of the EMX250 championship and to go even better in the following years because he’s only 15 years old. Gatedrop: In the MX2 World Championship next year what do you expect from both Renaux and Cervellin? Emanuele Giovanelli: We expect a consistent season finishing always in the 6-7 position. Gatedrop: Alvin Ostlund was with the team last year, injury ruined his season but he’s a good rider. Was it a hard decision to see him leave the team? Emanuele Giovanelli: Alvin is a good rider and a good guy, unfortunately after he found a good feeling with the bike and the team he had a bad injury. We were very sorry about the decision for him to leave for the 2019 season, if it was an our decision we would have continued with him for the 2019 season. Gatedrop: What’s your thoughts on the MX2 World Championship calendar for 2019? Emanuele Giovanelli: We think it is a difficult and an expensive championship. Gatedrop: Youthsteam have introduced an U23 age rule in the EMX250 class, what’s your thoughts on that rule? Emanuele Giovanelli: We think this is the right decision for the European championship but not for the MX2 championship.